Material: Metal, Electrical Motor, Cable, Amplifier, Tone Generator, 450W Speakers. 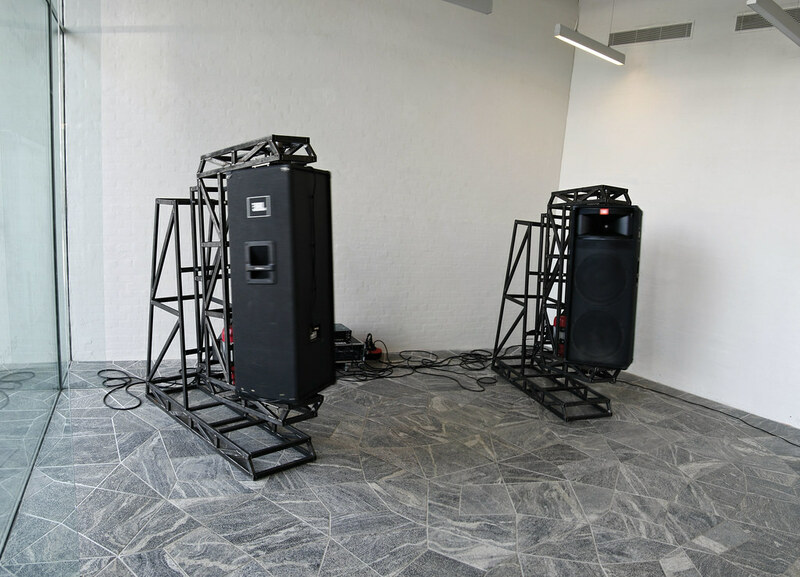 Driven by electrical motors, two speakers are spinning around their own axis. The sound created by the tone generator is a constant, but to the viewer it changes depending on the direction of the speakers. Because one speaker is rotating slightly faster then the other, the waves of sound will sometimes be unified, and sometimes shift from side to side.